There should be no new emoji until there’s an easy way to find the one you’re looking for on your iPhone. 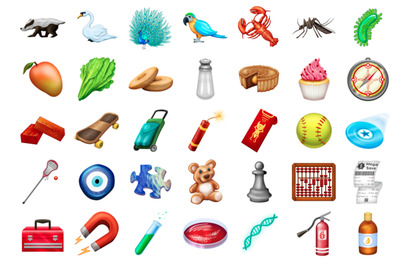 The new emoji include everything from redheads – like those pictured above – to a bagel, a lacrosse stick, a lobster, and more. Hey, I’ll be honest: I’m a huge fan of emoji, and I probably overuse them when texting with friends and family. 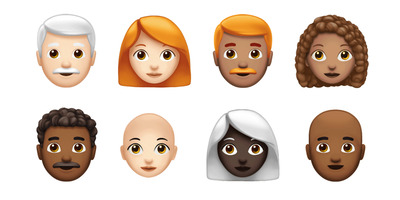 Plus, as someone who is occasionally called a redhead, I’m thrilled that I and my ginger ilk will be better represented in emoji form. I’m even optimistic that having a bagel emoji will probably change my life. But the fact of the matter is, we just can’t handle this annual influx of new emojis anymore – at some point, enough is enough. It’s become far too difficult to ever find the emoji you’re looking for at the exact moment you need it. If Apple insists on including dozens of new emoji each year with its latest software update, it needs to add an emoji search function to the iPhone, or just stop adding new emoji altogether. Don’t believe me? OK, fine: say it’s your friend’s birthday, and you’re hoping to send her a festive text message to help celebrate her special day. You’d like to include a balloon emoji. The only problem is, where the heck is the balloon emoji, anyway? 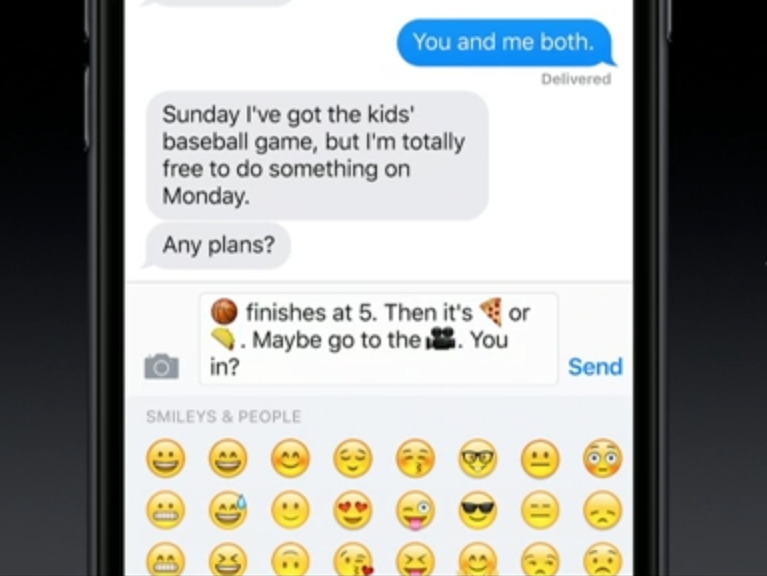 Is it under the smiley faces? Hidden away in the tab with the little car and the little building? Suddenly, you’re left scrolling through every single character before giving up in frustration. For the past several years, we’ve gotten dozens upon dozens of new emoji annually. The Unicode Consortium – the governing body responsible for approving new emoji designs – typically approves the new characters for all platforms sometime around February, then they roll out on various devices and services over the course of the next several months. EmojipediaA sampling of the new emoji coming to phones this fall. This year’s update will include 70 new emoji, and 157 new characters total, which includes gender and skin tone variations. Last year, we got 56 unique characters, and a whopping 239 total emoji. All of that would be well and good, except our phones are now absolutely clogged with tiny characters and symbols, half of which are obscure and rarely, if ever, used. Seriously – have you ever used the paperclip emoji? On top of that, each symbol that represents a person – or fictional creature, like a mermaid – has variations for gender and skin tone. This is a great thing! The more often people can feel represented, in ways big and small, the better. The current total number of emoji, including skin tone and gender variations, is 2,823 – that’s way too many if you ask me. If we’re going to keep getting new emoji each year – and all signs point to yes – I have one request: please, please make it easier to find them on your iPhone. Yes, this is an iPhone-specific problem – Twitter has a search function for emoji; Google has an emoji search function across its phones and keyboards. Even Apple’s iMessage on your Mac lets you search for a specific character. AppleHere’s how predictive emoji works on iPhones right now. And Slack, the popular work chat app, does you one better: typing in “:” followed by what you’re looking for will bring up a bevy of emoji to choose from. Type “:car,” and it will bring up a selection of car emoji to choose from, for instance. Apple has tried to add a way to make finding the right emoji easier in the past, but it’s not fool-proof and, to be honest, I rarely find myself using it. It’s called predictive emoji: if you type in a word in iMessage – say, for instance, “train” – then tap on the keyboard button, the word will highlight orange. Tapping on that word will bring up emoji suggestions where applicable. While it works, that isn’t the most seamless way to do it – a good old search button would work just fine. So while I may be a self-professed emoji fiend, I don’t want any new symbols making it harder to find my favourite characters, like the hug emoji, the slice of pizza, or the dark red heart. Give me a search button, or give me no new emoji at all. ??? ?